What food is so nutritious we consider it our go-to health miracle? Barley grass, the champion of superfoods! Barley grass’s incredibly wide array of pure, raw nutrition is what makes it such an integral part of The Hallelujah Diet. The key to barley grass’s health-promoting powers lies in its laundry list of nutrients, including over 30 vitamins & minerals, protein, essential amino acids, chlorophyll, flavonoids, trace elements, antioxidants and an extremely high concentration of enzymes—the nutrient that rules over all. Barley grass is so vital to your health that our very own Rev. George and Rhonda Malkmus deem BarleyMax, our barley grass and alfalfa juice blend, the single most important source of raw ingredients they consume each day. Why barley grass… and not barley grain? Today, barley is predominantly used as a grain or flour for human consumption, in animal feed and as malt in alcoholic beverages. But simply adding barley grain to your diet does less for your health than does barley grass. Even though the pasta-like grain of barley is widely consumed around the world, the grass itself holds much more nutritional value. On top of the nutrients in barley grain, the juice of barley grass also contains beta-carotene, pantothenic acid and folic acid, as well as vitamins B1, B2 and B6 . Barley grass also offers a much richer quantity of raw, living enzymes, which are the key to vibrant health. Long story short: Barley grass works instantly to jumpstart your body’s self-healing abilities. Then, as you continue to consume it, it helps your body heal and operate at peak performance every single day. 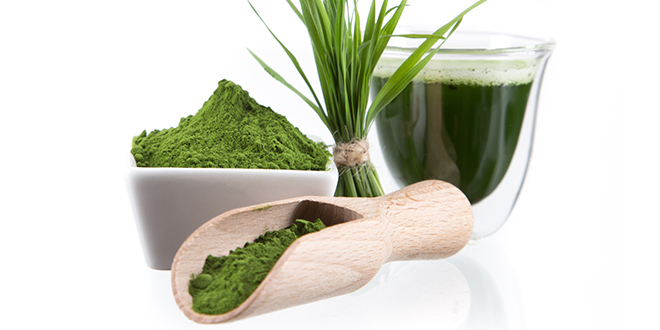 How does barley grass help prevent diseases? DNA damage is one of the initiating factors of many diseases, such as cancer. 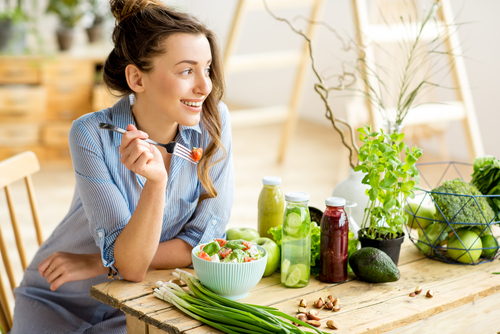 Your body has a three-fold defense against DNA damage: enzymes that disarm free radicals; small molecules (like uric acid) that absorb free radicals; and antioxidants from food that boost protection against damage. Raw food nutrition is vital for enzyme activity in the body. Barley and alfalfa grass is rich in living enzymes well as important nutrients such as antioxidants that help combat free radical damage. Live Enzymes: BarleyMax in particular is tremendously high in live enzymes. Enzymes are the life force of all living things. In fact, if you consumed all other nutrients but zero enzymes, it would be impossible to achieve full health. Enzymes function as catalysts or accelerators in the body, and they’re involved in all bodily biochemical reactions. The human body wouldn’t exist without enzymes because they help control both mental and physical functions, including energy production, metabolism, reproduction and the immune and digestive systems. Essential Amino Acids: Barley grass is one of the rare foods that deliver all nine essential amino acids. Your body doesn’t produce its own, so it’s especially important to consume them daily. Vitamins & Minerals: Barley grass contains vital nutrients such as vitamins A, C, E and B9 and minerals such as zinc, manganese, calcium, iron, phosphorus and potassium. Contains high amounts of magnesium, a mineral that acts as a cofactor for more than 300 enzymes in the human body. Chlorophyll: Considered a natural detoxifier because it rids the intestines of stored toxins, this pigment found in all green plants may have cancer-fighting properties. Cereal grasses, such as barley, alfalfa, wheat, oat and rye, are touted for their health benefits because of the remarkable amount of active ingredients they contain. However, barley grass is the most nutritionally potent right before the jointing stage, which is the point at which the grain head begins to grow. At this point, barley grass is about 45% protein, containing almost twice the protein as an equal amount of wheat germ and five times the minerals found in animal protein. During processing, BarleyMax’s low-heat dehydration method ensures that the living nutrients remain in tact. Here’s a step-by-step look at how BarleyMax is produced, from planting the seed to forming the powder. We plant organic barley and alfalfa seeds in an old volcanic lakebed located in the Rocky Mountains. The seeds are then watered with deep, mineral-rich well water. The greatest benefit of this location are the huge deposits of trace minerals in the soil from previous volcanic activity. Slower growth at this high elevation allows the plants to absorb maximum nutrients from the mineral-rich soil. The cereal grasses grow throughout the fall, winter and early spring months, to allow for maximum absorption of the soil’s rich nutrients into the leaves of the plants. Slower growth occurs at the mountainous region’s elevation of 5,000 feet, further allowing for optimal mineral absorption from the soil. We harvest the grass just prior to the jointing stage (the point at which the grain head begins growing). Barley will reach a height of 11 to 14 inches right before the grain head begins to grow–this is the point at which the leaf contains its highest amount of nutrients. Immediately after harvest, the barley and alfalfa leaves are transported to a facility to be washed–without harsh sanitizers or heat. The leaves are juiced and then reduced from a liquid to a powder form by dehydration. This all takes place within just a few hours of harvesting! BarleyMax is dried using a patented dehydration process reduces the juice to a powder at the low temperature of 98 degrees. Plant-based enzymes do not begin to break down until heated to temperatures of 107 degrees or higher. 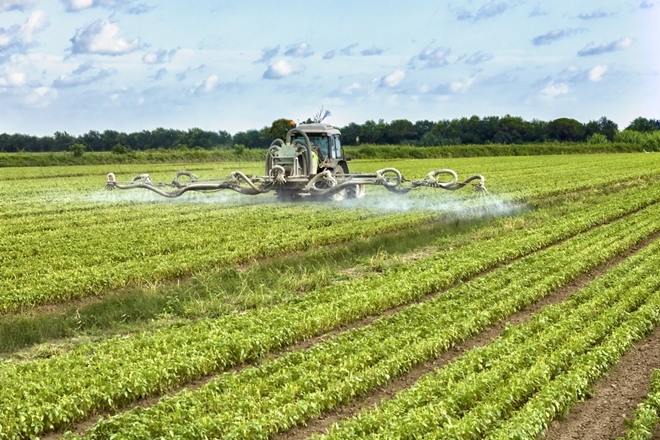 Therefore, the living enzymes and nutrients in BarleyMax are not destroyed during processing. Vitamins found in BarleyMax are never isolated—they are always found in food as living complexes that are easily and quickly assimilated at the cellular level. Chlorophyll has been shown to accelerate the healing of wounds, with no toxic side effects, as well as protect against chemicals and radiation, promote intestinal regularity and build strong blood. Enzyme destabilizers. Other juice powder products reduce the juice to a powder using significant heat, thus destabilizing the living enzymes. To try to stabilize the enzymes, the addition of stabilizers such as maltodextrin and brown rice is often necessary. These products then suggest a larger serving size because the product contains less actual barley juice powder with the additives making up the rest of the product. Sanitizers. The BarleyMax dehydration process does not use sanitizers on the leaves and no enzyme-destabilizing heat is applied, so the good bacteria, which is good for your gut health, is not damaged or destroyed. Each batch of BarleyMax is checked for unfriendly bacteria. Fiber. BarleyMax is 100% juice powder and contains no fiber. Some other barley and grass powders contain the ground up leaf in the mixture, which adds a lot of fiber to the product. Fiber serves as a filler and doesn’t contain much nutritional value. Want to know if a product contains fiber? Mix one serving with 8 ounces of water and allow it to settle. BarleyMax will remain clear, while many brands will leave fiber floating, settled on the bottom, or both. Gluten. Barley is inherently gluten-free, but the barley plant will contain gluten once a head of grain develops. Since BarleyMax is harvested before the jointing stage, it is a gluten-free product. 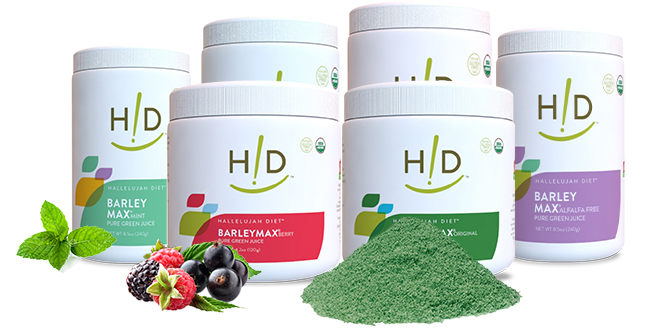 BarleyMax is one of the fundamental components of The Hallelujah Diet simply because of its raw nutrition. The high concentration of plant enzymes still active thanks to low-heat processing of our superfood formula is necessary for producing fresh, strong cells in your body. Our powerhouse of raw, living nutrition helps your body build 300 million healthy new cells every minute of every day. BarleyMax offers possibly up to 1,000 of living enzymes since they are not killed through heat processing methods. This includes high natural levels of the enzyme superoxide dismutase, a powerful antioxidant that protects cells against free radicals. BarleyMax is also loaded with a blend of naturally occurring nutrients, including vitamins A, E and B9, protein and minerals such as zinc, manganese, calcium, magnesium, iron, phosphorus and potassium. It boasts essential amino acids, chlorophyll, flavonoids, many trace elements and antioxidants. Consider BarleyMax as your go-to energy source whether you need a quick pick-me-up or want your daily dose of raw nutrition. 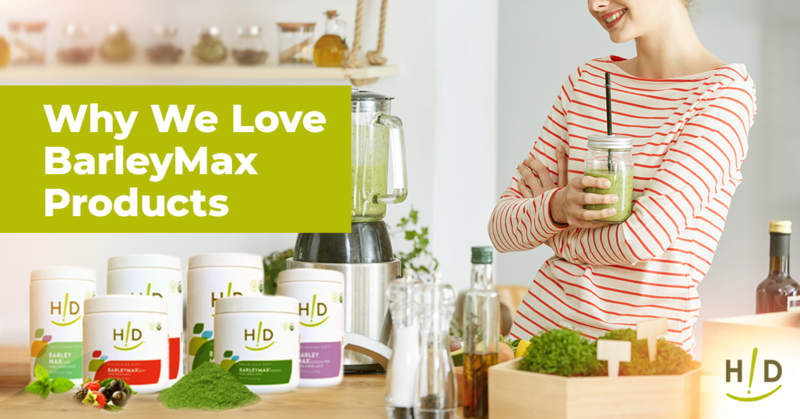 Each 8.5 ounce container of BarleyMax contains the gluten-free, dehydrated juice of 15 pounds of freshly harvested barley grass. Mix it with water or a fresh juice of your choice. While barley in any form offers a robust spectrum of nutrients that benefit your overall health, barley grass offers much more vital nutrition. The robust flavor of barley might take some getting used to, but when combined with other flavors or even in juice form, you’ll be literally drinking to your health! I agree but I just got the Triomax. Is that not as powerful. I was going to take a spoonful under my tongue morning and noon.